Jürgen Klopp reflected on a 'really good' Merseyside derby performance by Fabinho and backed the Brazil international to shine in different systems when necessary. The summer signing was a strong figure in the middle of the park as Liverpool ultimately snatched a 1-0 victory over Everton at Anfield on Sunday. 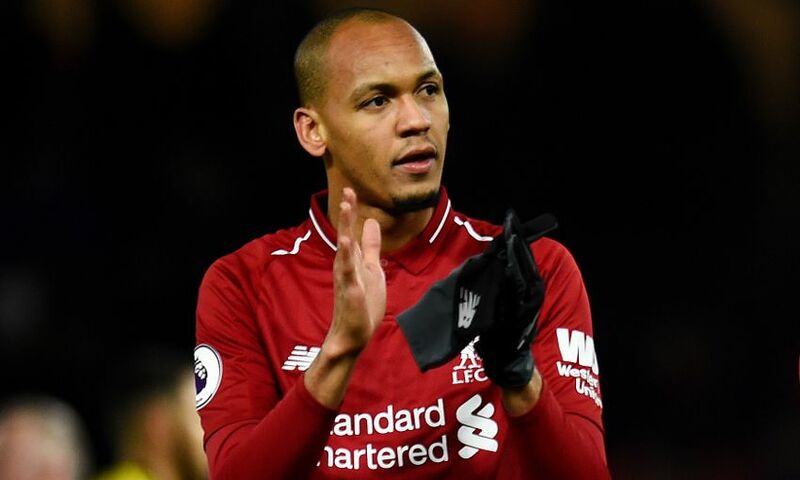 On his 10th appearance for the Reds, Fabinho was deployed alongside Georginio Wijnaldum in midfield and helped to achieve the disruption to the visitors’ play the manager had wished for. “I don’t judge it on big steps or small steps, it was just a good performance from him. It was exactly what I expected,” said Klopp. “So far, Gini and Fabinho have worked really well together on the defending side. “The most important thing about that game was how we defended up front – that was the biggest difference to other games. The high pressure was really brilliant. “Nobody so far could really deny [Everton’s] build-up like we did, and they’ve played away at Chelsea. That was really brilliant. Fabinho has predominantly been used in a 4-2-3-1 formation so far this season but Klopp has no doubt he can adapt to other set-ups, such as the more typical 4-3-3 of recent years. “Of course, because he has got used to it,” added the manager. “The difference is not that big. We adapt to our defensive players as a unit and our attacking players as a unit with slight adjustments depending on the skills. “That’s how it is. If you have quick centre-halves, you can defend higher. Then the ball in behind isn’t a problem. That’s what we have to do in these situations.